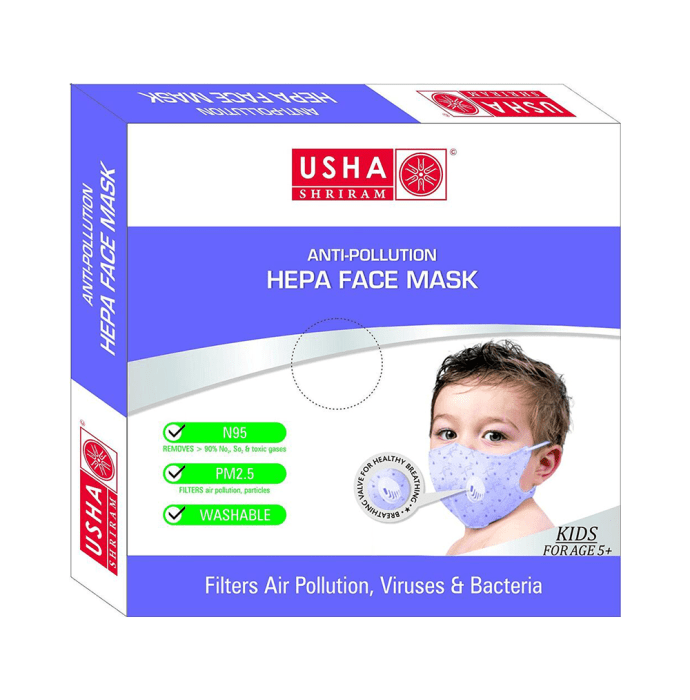 Usha Shriram Anti Pollution HEPA Face Mask for Kids is designed with three layer protection which is capable of filtering 2.5 PM particles. It is a N95 anti-pollution mask and is capable of filtering 99% of the bacteria. Designed with the ultra-soft fabric which is gentle on soft skin and provides a comfortable fit. Filters air pollutaion particles, bacteria and viruses. For directions refer to user’s manual.